Redbud blooms, native to Eastern US, are edible, and taste light and sweet. When a plant vibrantly attracts our attention during a particular time every year, people come to know it as a seasonal indicator. To many people it’s the dogwood blooms that are awaited and welcomed, signaling winter has passed. According to Paul Vestal and Richard Evans Schultes, 20th century ethnobotanists from Harvard, the Kiowa Indians saw the purplish-magenta blooms of the native Eastern redbud (Cercis canadensis) as a sign that spring had come. Before the heart-shaped leaves emerge – which are a beautiful coppery iridescence when young – the flowers bloom from smooth, dark gray, naked branches. Often last summer’s dried seedpods still hang from the branches while the tree is in bloom. The irregular shape of the flowers and the seedpods, which resemble peapods when fresh, indicate the redbud is a member of the Pea Family (Fabaceae). The Eastern redbud also is called the Judas-tree due to stories that Judas Iscariot hanged himself from a redbud species (Cercis siliquastrum) native to Western Asia and Southern Europe. Although the Eastern redbud is rarely included in popular herbal texts, it provides medicinal, edible and economic uses in addition to its beauty. Many botanical accounts report that Native American and European American children enjoyed eating the fresh flowers of the Eastern redbud. They are soft and slightly sweet, and add instant color to salads or on cupcakes. 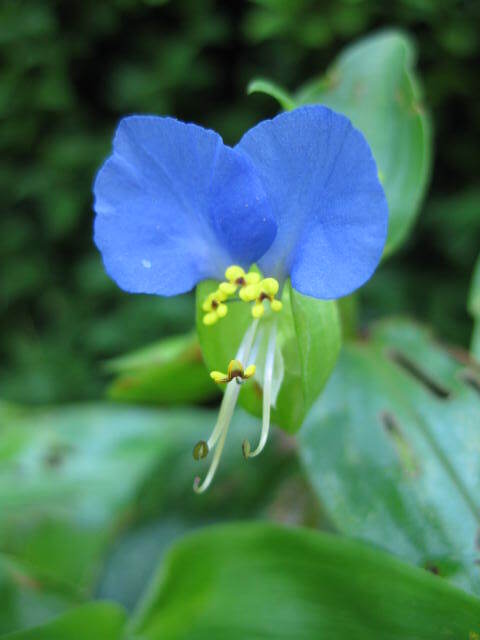 The deep hue of the petals indicates the presence of healthful flavonoids, such as quercetin. 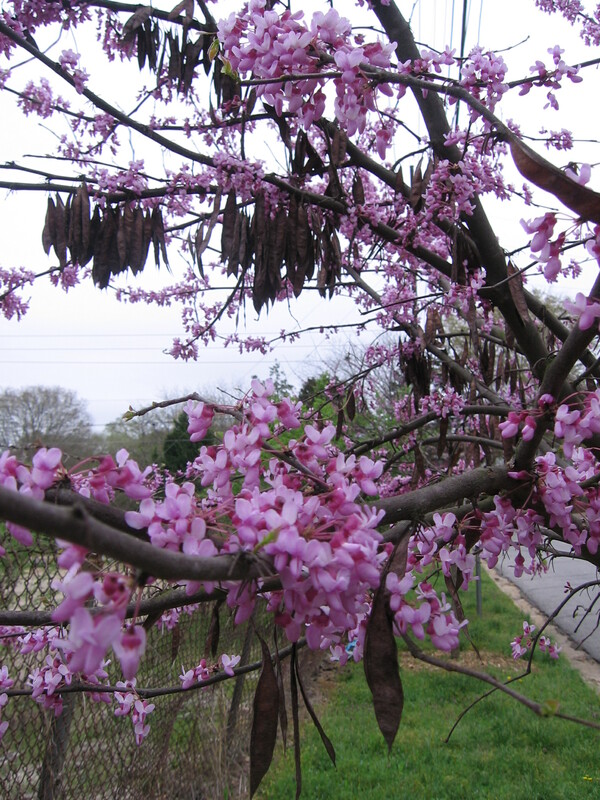 Redbud flowers also are popular among bees and aid their honey production. Fresh seedpods are edible, as well, though they must be cooked and flavored with olive oil and a splash of vinegar. Seedpods quickly turn too astringent to eat if left on the tree too long. Sample one, and you’ll experience all of your saliva drying up in your mouth. Amplify the seedpod experience, and you’ll have an idea what the inner-bark can do. Tannins present in the inner-bark and root, which account for its astringency, have been used to heal lung congestion and to tonify excessively damp conditions, including diarrhea and dysentery. 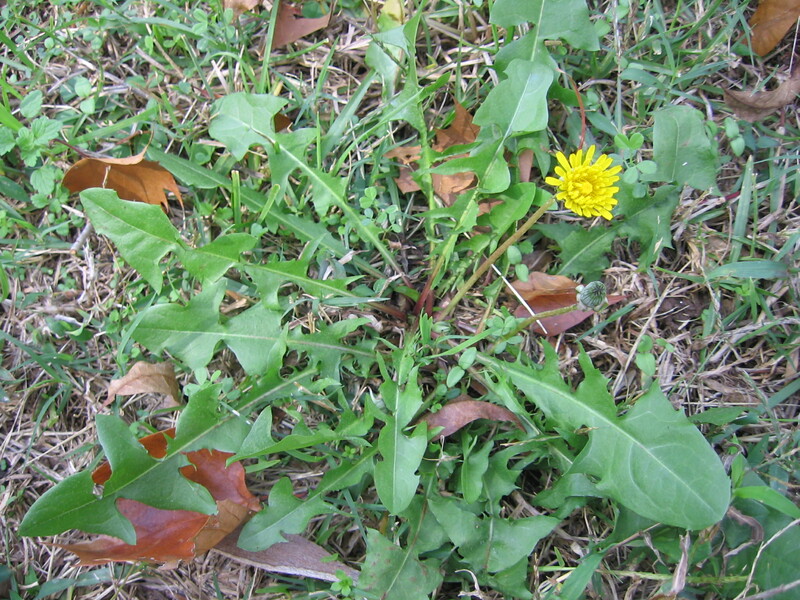 The Cherokee used an infusion of the bark for whooping cough. The California redbud (Cercis orbiculata), native to California, Arizona and Utah, is valued by many Native American tribes for basket weaving, as its young branches have a decorative reddish-wine color. A technique of pruning to encourage abundant young, red shoot growth, which is pre-bark development, is called coppicing, and only recommended on trees a least a decade old. For textile weavers and natural dyers, redbud roots make a red dye. Redbuds tolerate shade, drought and occasional flooding, but prefer moist, well-drained, sunny spots. Due to their deep taproot, redbuds can be good soil stabilizers. Although most leguminous plants are nitrogen-fixers, converting nitrogen in the air for the soil to use, redbuds don’t appear to have the root nodules to fix nitrogen. Easy to propagate from seed, but not long-lived, the redbud is one of our most ornamental, native trees, which gracefully glows along woodland areas during this time of year. Before there was Velcro, there were cleavers, a bristly, weak-stemmed annual with whorls of narrow leaves and inconspicuous white flowers. Arising from its winter bed during the seasonal transition into early spring, cleavers (Galium aparine) embody juicy, springtime vitality. 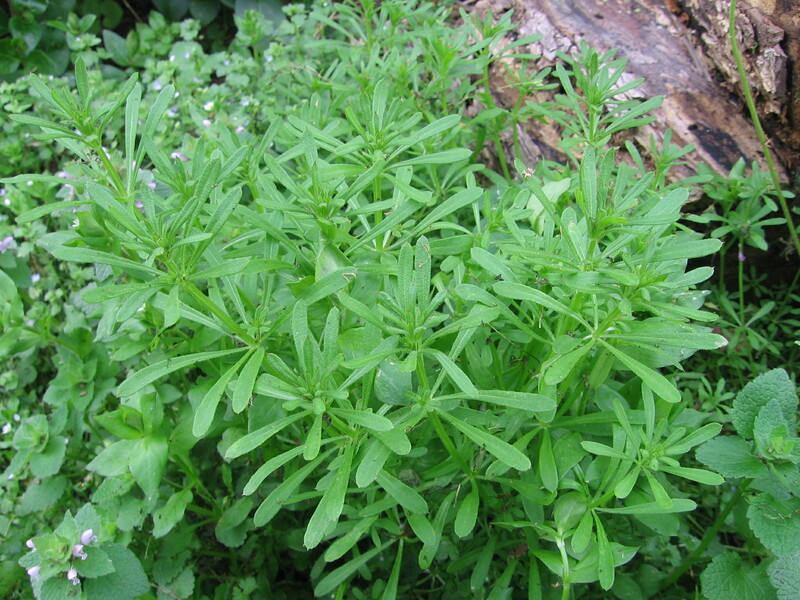 Growing in areas of moist, partial-shade, cleavers, also known as goosegrass and lady’s bedstraw, typically are thought to have originated in Europe. According to the USDA Plants Database, however, cleavers are considered native to the United States. Whether native or not, cleavers are found throughout the entire North American continent and have been used in Native American medicine. According to traditional Western herbal healing, cleavers cleanse accumulating toxins from the fluid and its channels, such as the blood, lymph, sweat, bowels and kidneys, which can become stagnant during the colder months. The fresh, brilliant-green cooling juice released from its stem and leaves contains citric acid, sweet-smelling coumarins (which is not the same blood-thinning compound, Coumarin), and asperuloside, a laxative. Signs of stagnation for which cleavers are used in order to nudge the fluid channels toward more efficient elimination are swelling of the hands and feet, or nodule-like cysts on the palms of the hands or soles of the feet; fibrous tissue in the breasts; inflammation in the kidneys or urethra, or kidney “gravel”; constipation; and cystic acne. The Nitinaht people of British Columbia are reported to have used cleavers as a hair wash to make the hair grow long. Harvest the above-ground parts while they’re bright green, before the weather becomes too hot in late spring when cleavers become stringy, yellowed and has gone to seed. On a daily basis while locally available, gather a handful of cleavers – carefully removing co-existing plants unless it’s chickweed (Stellaria media), which has properties similar to cleavers – and either juice them, or chop the herbs, putting them in a pitcher and pouring about 32 ounces of boiling water over them. Allow the cleavers to steep for 8-10 minutes. Strain and drink a couple cups a day. Cleaver tea smells like spinach-water and tastes like grass, so one might want to add lemon juice for flavor. A member of the Madder family (Rubiaceae), the same family with coffee, cleaver seeds can be roasted as a caffeine-free coffee substitute. One can experience spring by drinking cleaver tea, bathing in cleavers, or wearing sprigs of cleavers, which make a natural springtime corsage, adhering to any article of clothing when applied. Paying attention to the plants of the season, and accepting their gifts, brings us closer to the natural, healing rhythm of Earth.